Erin Trish, Paul Ginsburg, Laura Gascue, and Geoffrey Joyce find that the average reimbursements by one Medicare Advantage (MA) insurer range from 91.3 to 102.3 percent of traditional Medicare for physician services, in most cases, substantially lower than rates for commercial plans. But when commercial prices are much lower for services, such as for lab services and durable medical equipment, MA plans follow commercial pricing, with reimbursements for lab services and equipment ranging from 67.4 to 75.8 percent of traditional Medicare rates. 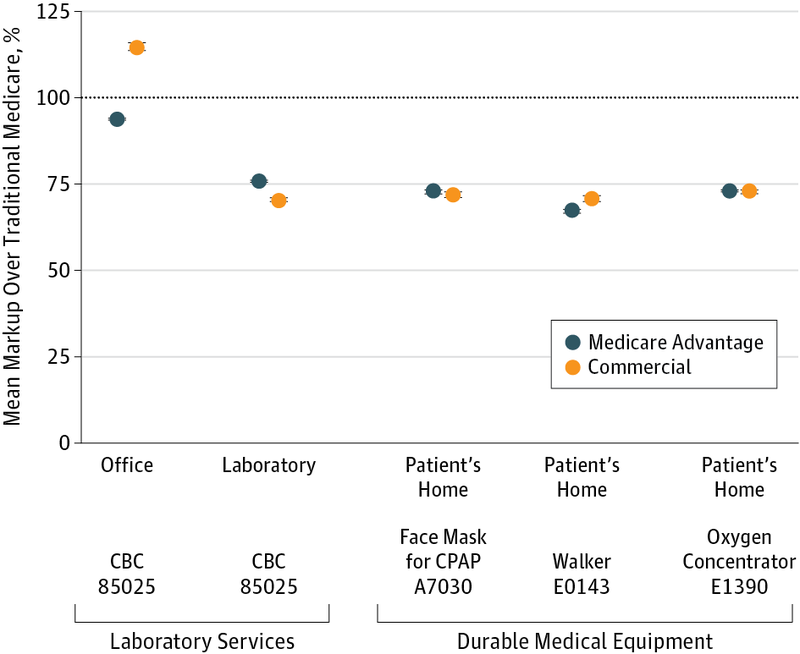 Using claims data from 2007 to 2012 from one insurer with both a significant MA and commercial presence, these findings raise questions about whether MA plans would have to pay higher rates if traditional Medicare no longer was an option, such as in some premium support proposals, and suggests that Medicare is paying too much for lab services and durable medical equipment. The full study is available at JAMA Internal Medicine. The press release for the study is available here. Citation: Trish, E., Ginsburg, P., Gascue, L., & Joyce, G. (2017). Physician reimbursement in Medicare Advantage compared with traditional Medicare and commercial health insurance. JAMA internal medicine, 177(9), 1287-1295.